An effective fitness website design leverages function, incorporates crisp visual elements, and engages its audience. 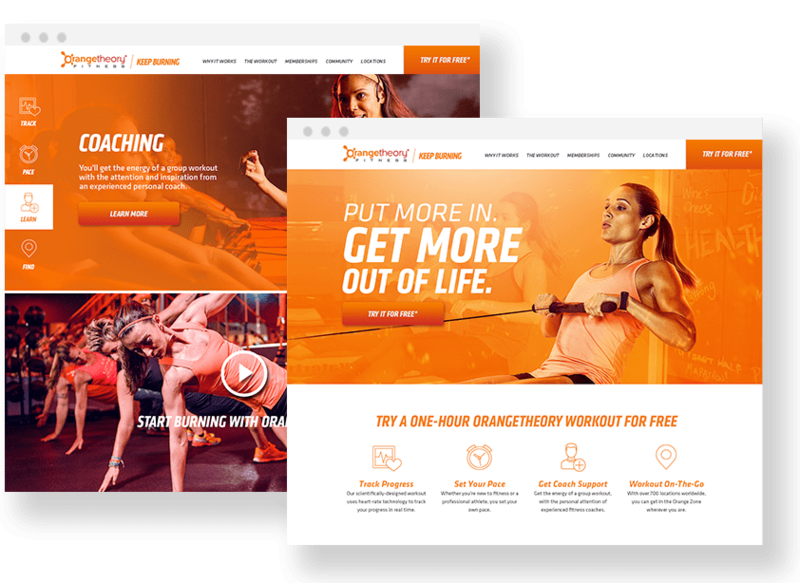 Whether you’re opening a brand new crossfit studio or interested in attracting new customers to your local gym, implementing high-quality design and development services will significantly enhance the appearance of your brand online. At Blennd, we exercise our personal set of best practices whenever tasked with creating a custom fitness website design. In this article, we’ll explain how we build gym websites that workout. What do your visitors need most from your website? Most gyms offer a regular schedule of classes their members can attend throughout the month. This is an important feature we recommend with every gym website design we create. A workout calendar is a great resource for both current and potential members alike. While it’s common for websites to include a training class schedule, a workout calendar can take your website the extra mile. Providing resources that are relevant to your business / audience, such as regularly posting home workout routines, builds trust, extends awareness and establishes value. Can your members register for classes online? By offering the ability to sign-up for training sessions, you’re making it easier for customers to get involved with your gym. A quality fitness website design can automate booking confirmation messages, notify team members of new registrations, and even integrate with your existing membership management solution. A solid gym website design includes an informative About page with company history and staff bios. Bios typically include a profile photos, team member name, and short description about their experience, qualifications and interests. Many potential customers are interested in getting to know your team members before joining the gym. Highlighting your leadership team helps establish credibility which in turn encourages visitors to convert into members. Here at Blennd, we also recommend including a bio section with your gym website design. This section can provide brief descriptions written about the employees who interact most frequently with your customers. 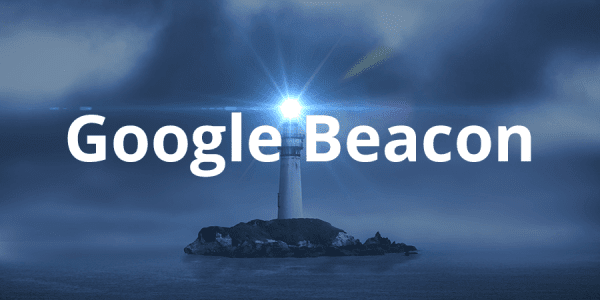 When it comes to search engine optimization (SEO) best practices, frequently publishing new content on your website is an important keyword ranking indicator. Adding a blog feed page to your gym website design adds value to your visitors and can lend to improved visibility of your business online. 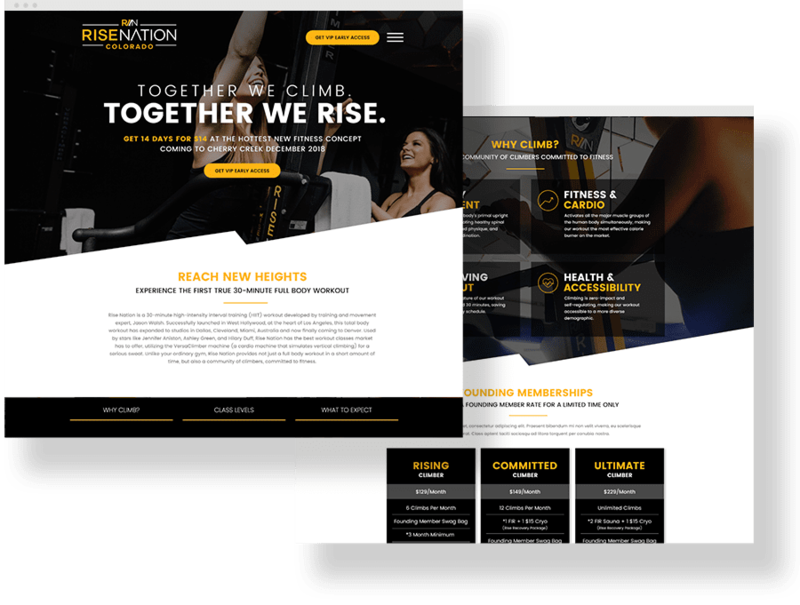 Rise Nation, an up-and-coming high-intensity interval training (HIIT) versa-climber gym, came to use with the need to develop a new website for their Colorado locations. View client website. Most new visitors to your website are interested in membership pricing. You can develop a custom membership inquiry form or create a membership comparison chart to help customers understand your service costs. Reviews are more important today than ever before. Potential customers are more likely to choose your business when positive customer satisfaction is apparent. When working on your fitness website design, we recommend including a member testimonials section on at least one page of the site. If a user visits your website for the first time, how easy is it for she to locate the membership signup information? By minimizing clicks, considering usability, and simplifying the signup process, your fitness studio is more likely to convert website traffic into real customers. 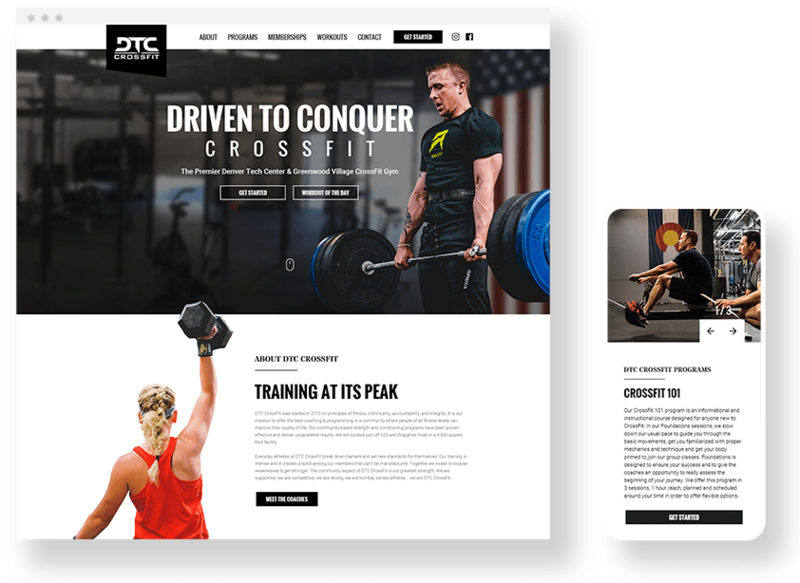 DTC CrossFit, located in Greenwood Village, Colorado, offers coaching and programming in a community where people of all fitness levels can improve their quality of life. View client website. Featuring your most popular workout machines / equipment front-and-center on your website is a great way to attract new members. We recommend that your gym website design Includes relevant specifications, number of machines, and availability information. It’s easy to overlook some of the amenities your gym may have to offer. Things like showers, saunas, lockers and vending machines are important inclusions. Come up with a comprehensive list of every single amenity and then create a concise bulleted-list to feature on your website. Engage your members with community events. From monthly yoga classes to free 10-minute personal training sessions, an events feed can be an important component of an effective fitness website design. 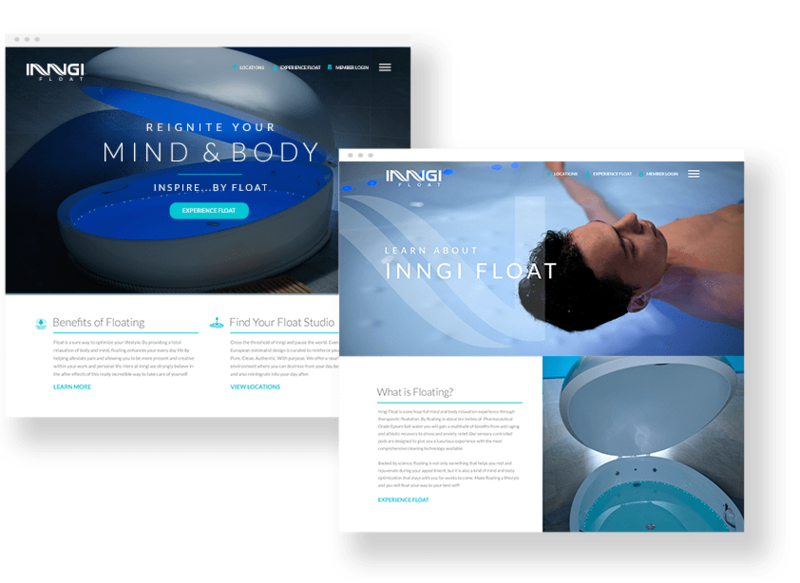 Located in Highlands Ranch, Denver, Colorado, Inngi Float is an innovative floatation therapy wellness center. View client website. Your website should reflect your company vision while considering the needs and wants of your ideal customers. Creating a universal experience for your customers that transcends from visiting your website to walking into your gym can greatly enhance brand recognition and loyalty. Now that you know how to design a fitness website, it’s time to choose an organization you can count on. Here at Blennd, we offer high-end web design, local search engine marketing and a wide-range of creative agency services. 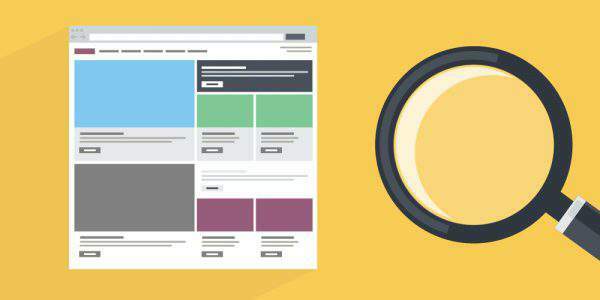 Ready to start planning your website redesign process? Get in touch with Blennd today! Questions About Our Gym Website Design Services? Do you have questions about our gym website design services? If you’d like to learn more about our website redesign services, we’d love to hear from you! Please don’t hesitate to contact our Denver marketing agency. Leveraging an effective website strategy and planning process is the most important stage of web design. Click here for part 1 of our Web Planning series.